A key component of determining your potential return on investment for your sign project is understanding the traffic patterns around your location. Provide your business address below and our site application specialists will prepare a detailed report that includes vehicle traffic count and demographic data. 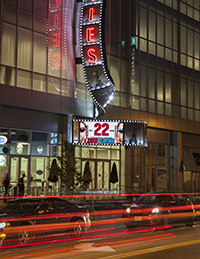 Use your site report* to develop a true-to-life cost per impression for a digital sign at your specific location. * Available for U.S. and Canada locations only.